When installating a new boiler or replacing an old one, strict regulation requirements must be respected. Many international regulations are made throughout the world to improve safety in any implementation in new constructions or old buildings. The American Occupational Safety and Health Administration (OSHA) as well as the European Union and countries set regulations for boiler room implementations. They apply to fixed collective installations dedicated to heat and hot water production in residential buildings, offices or public access buildings. Having a gas detection system is not required for gas-powered boiler rooms under 2 MW but is highly recommended. The same situation occurs for fuel supply: a two-way shut-off (2 gas solenoid valves) is advised in addition to the gas detection system which controls a manual reset gas safety valve at the head-end. Bigger gas-powered boiler rooms (above 2 MW) are on the other hand regulated through many standards (In the EU or in France e.g.). In gas-powered boiler rooms, the gas supply shut down is activated through two redundant safety valves installed on the gas supply pipe. These solenoid valves are triggered by gas detectors and a pressure switch. The whole automatic shut-down chain has to be periodically checked (detection, signal transmission, gas supply shut-down). The open or closed position of these devices shall be easily recognized by operators. This unit will shut down the gas and power supply except for devices made to operate in explosive atmosphere, low voltage power supply and emergency light. This operation must not create electric arc or any spark that could ignite an explosion. Boiler rooms gas detection systems must be periodically checked and verification reports have to be stored. 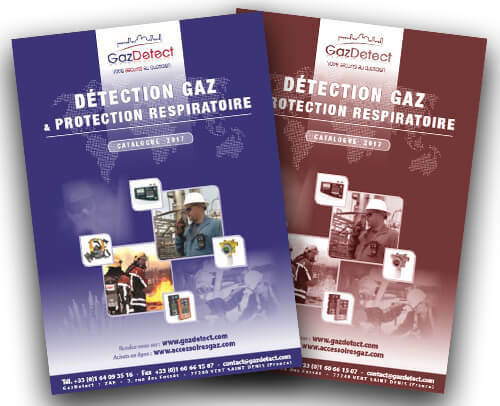 The reliability of gas detectors is also regulated as well as calibrations that has to be regularly performed. Every gas detection above 60% of the LEL has to lead to safety procedures in any installation that may contain explosive atmosphere. Since July 2003, two European directives detail manufacturers and users requirements on designing and using devices in hazardous atmospheres.